Origin Management describes a holistic approach that allows internationally operating companies to benefit from reduced import duty rates within Free Trade Agreements (FTAs). Through the creation of a single, auditable, and global platform, companies are enabled to successfully claim preferential origin and sustain, review and audit preferential treatment claims. 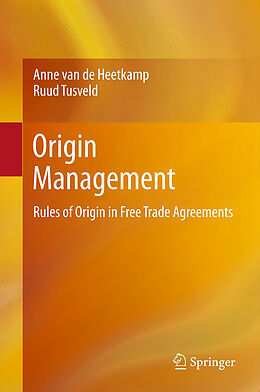 Seeking to provide a comprehensive treatment of origin management for a professional audience, this book outlines the underlying theoretical concepts and legislative frameworks, and presents practical implications and guidelines for a successful origin management program as part of a strategic sourcing initiative. 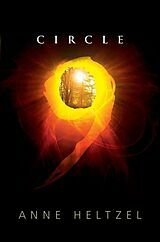 The authors advocate an approach that involves sharing and distributing information and resources throughout the company and the supply chain, resulting in competitive advantages, synergies, and a central information point for all origin associated issues. Anne van de Heetkamp's experience in customs and trade consultancy, global trade software and global trade product development with private, public and venture-backed companies spans multiple countries, continents, and decades. His involvement in origin management and customs/trade issues include advisories regarding origin claims and sustainability thereof, a wide of trade compliance issues, management of data collection teams, managed services, and product development. Ruud Tusveld is partner in charge of the Dutch Customs and international trade practice of PwC, leader of the PwC EMEA Customs & International Trade group as well as global coordinator for the PwC Customs network worldwide as a member of the global indirect tax leaderships team of PwC. He has over 25 years of experience in the field of customs, and specializes in customs regimes aspects related to distribution and production of goods (sourcing, origin, customs warehousing ,processing reliefs and centralised solutions), customs valuation (in relation to TP) as well as excises, in all cases combined with advisory on the related main international VAT aspects.